There are two ways to live your life – following the crowd and doing what’s expected of you, or following your heart and reaching for a dream that excites, inspires and scares you. I work with people who are called to a dream that’s bigger than them and those who long to be called to a bigger dream. You are not on this earth to just do your duty and survive, you are here to fulfil a calling, to walk a path unique to you. Nobody can tell you how to live that life – only you can. But here’s the trouble. Your most inspired life is also the life that scares you the most. It seems unbelievable, risky, dreamy, impractical, or so obscure you can’t even see it. That’s why you need a reflection partner, a friendly challenger, a soul-searching companion to help you see your own light. In short, you need a coach. How do you become a leader in your life? By doing one simple thing – following your excitement and inspiration. Inspiration is wisdom, power and guidance that comes from your greater self – the one that is already the enlightened leader and creative genius you have been seeking your whole life. When you follow the call you feel excited and enthusiastic. You have the courage to face risk and to endure hardship. Your every step is filled with meaning and purpose. This process will support you shift your energy, maintain the shift, and ground the insights in reality. When you’ve got the hang of this you’ll be a master of enlightened self-empowerment. I combine transformational coaching with hypnotherapy, EFT (emotional freedom technique), HeartMath and Non-dual Inquiry to help you access deeper levels of motivation, wisdom and inspired action. Our working engagement can take as few as three sessions or be completely open-ended, depending on the scope of the work you want to do. Common outcomes include: Finding your true purpose, transforming your money beliefs, getting clear on a new life path, overcoming fears, writing a book or following a passion project, deepening spirituality, healing past hurts, transforming negative beliefs and awakening the unlived life that longs to be expressed through you. Sessions are conducted at my home office in Westlake, Cape Town, or over Skype. Are you weary of the endless round of self-improvement and trying to get things right? Then I’ve written this for you. It’s an approach to accessing the powers of pure Presence and the part of you that knows it is already whole and complete. At some point, you just know that more success (even spiritual success) isn’t going to give you what you truly long for. 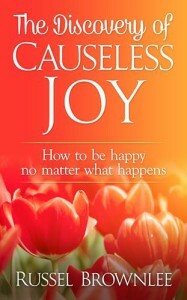 If you’re at that point, try The Discovery of Causeless Joy now. Home page feature photo by Joshua Earle on Unsplash.com.